When a player logs into the game, daily attendance will be recorded down in the following User Interface. 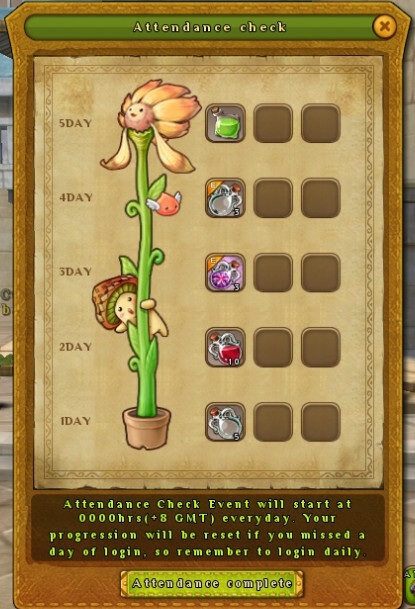 The plant will grow daily according to the attendance checked in the game. On the 5th Day, the plant will be fully grown as shown below. 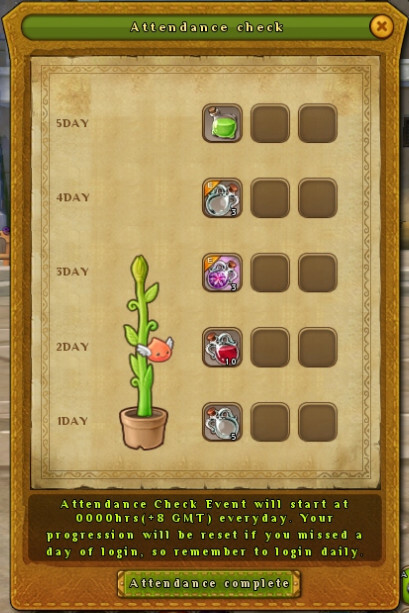 If one has missed any of the daily login attendance at any day, the attendance system will be reset and the player has to start his progression from Day 1. 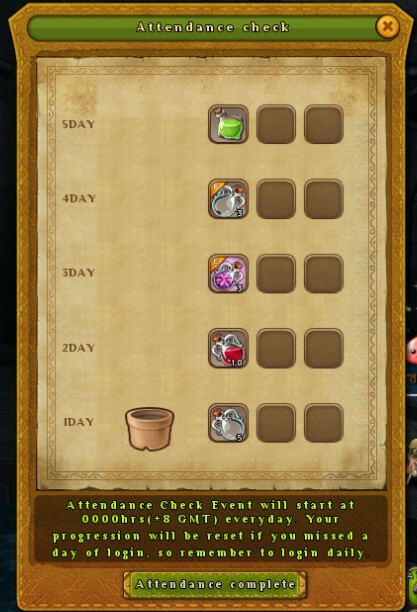 From 5th day onward, player will be rewarded with 1 Graham Potion if he successfully has his attendance checked everyday. There will be no reimbursement for any missed attendance check at any days. Players can claim their rewards from the Temporary Event Box. Players get rewarded with awesome items for every hour spent in the game. There will be a Present Box icon at the top right of your gaming screen. Player can click on the icon to check out the next item giveaway. 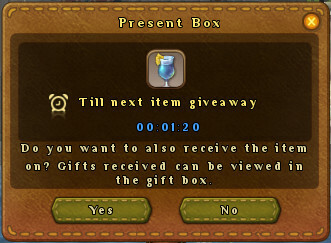 The timer indicates the time needed for a player to receive the next item giveaway. There will be 5 minutes buffer time for players who disconnected from the game. They will be able to retain the remaining time on the Present Box if they manage to connect to the game within the buffer time limit. 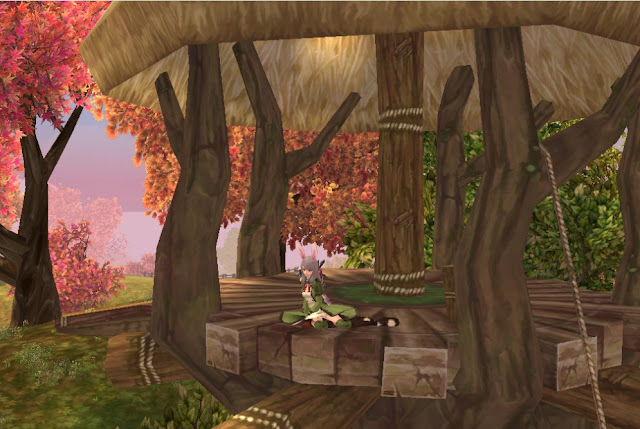 The Present Box will be reset to 1st Hour if the player disconnected/log out more than 5 minutes from the game. Player will be rewarded with 1 Unidentified Normal Card, for every hour counted from 3rd hours and so on. These systems would not help much on retaining the players for sure. Maybe it is good enough for lowbies for for the end players, these rewards are taking pretty much of the bag spaces lol. Well, something to look forward for the Unidentified Normal Card though. 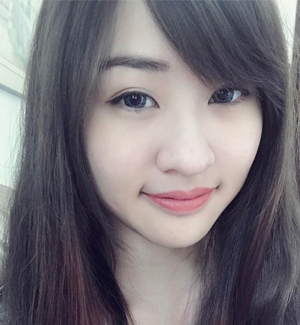 Till then, have fun! so , what ro2 servers is this applicable on?